Tonight (23 November) saw Human Resources celebrating the achievements of HR’s brightest innovators. 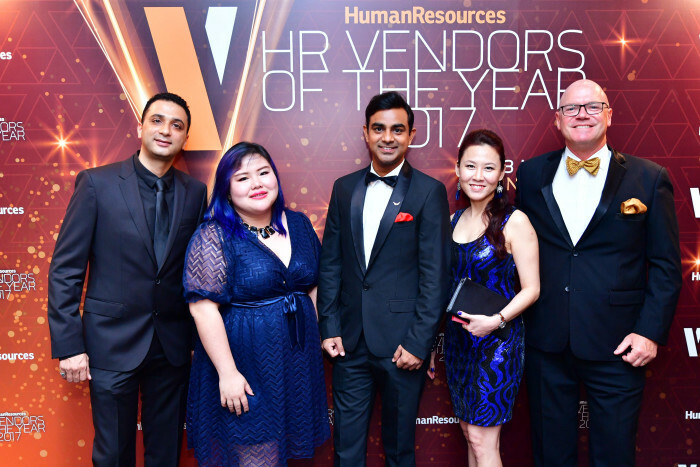 Attended by more than 400 industry players, the HR Vendors of the Year 2017, Singapore was held at Shangri-La Hotel, Singapore and produced by Priya Veeriah. 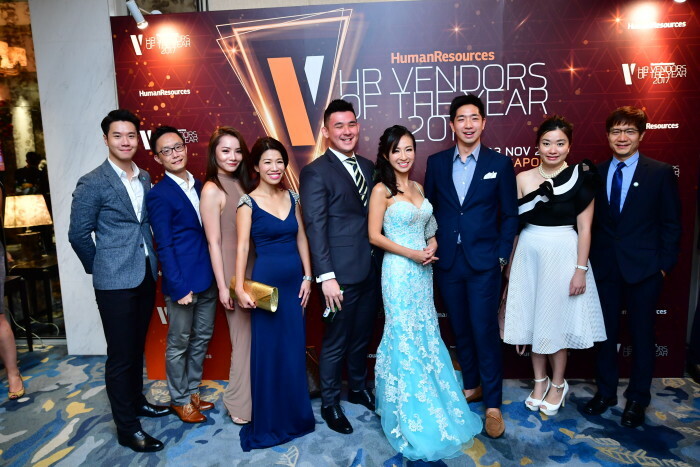 In the 3rd year running as an awards night backed by 12 years of research, HR Vendors of the Year is the biggest HR vendors awards in Asia – also celebrated in Malaysia and Hong Kong. What makes the awards unique is its two-tier selection process whereby judging for the more than 250 entries across 31 categories was done by an esteemed jury of 21 senior regional heads of HR from organisations across Asia. The first award for the night was the Best Recruitment Portal – where the bronze went to Manpower Singapore, with Adecco Personnel bagging silver, and ACI HR Solutions taking home the gold award. Next up, the Best Remuneration Consultant award went to RGF for bronze, Mercer bagging silver, and Willis Towers Watson claiming the gold. In fact, Mercer won gold in another category – Best Employee Engagement Consultant – where Willis Towers Watson and REWARDZ took home the silver and bronze respectively. Willis Towers Watson also took home silverware in another category, i.e. for Best Employee Engagement Solution Provider, where the gold was bagged by BI Worldwide Asia Pacific, and REWARDZ sealed the bronze. The following two categories saw the Best Background Screening Provider, that was awarded to Sterling Talent Solutions (bronze), HireRight (silver), and Verity Intelligence (gold); and the Best Corporate Healthcare Provider, where the award saw Fullerton Healthcare Group bagging home the gold award, followed by Integrated Health Plans with silver; and Farrer Park Hospital with bronze. Check out photos from the awards here. For the following award, Best HR Management System – guests were seen cheering for the accomplishments of Ramco Systems who won gold. Not too far off, iTalentPro won silver, while Unit4 Asia Pacific won bronze. Following that, the winners of the Best Payroll Outsourcing Partner were announced with TIMES SOFTWARE taking home bronze, Links International the silver, and the gold award going to ADP. The jury then revealed the winners of the Best IT Training Provider category – the award went to Singapore National Employers Federation for bronze, with Management Development & Consultancy for silver, and SAP SuccessFactors – a proud winner of the gold award. Additionally, SAP SuccessFactors took home more wins; including silver in Best Talent Management Software (where iTalentPro was the recipient of the gold award, while Lumesse Singapore won the bronze); gold in Best Learning Management System (where TIMES SOFTWARE won silver, and iqDynamics won bronze), as well as gold in Best Applicant Tracking Software (where IBM and ServiceDott proudly claimed the silver and bronze wins respectively). Moving on to categories dedicated to employee mobility, for the Best Relocation Company, the award saw Crown World Mobility asserting itself for the gold win, joined by Santa Fe Relocation taking home silver, and Asian Tigers Mobility (Singapore) winning bronze. On that note, Crown World Mobility championed as the gold winner in another category, i.e. the Best Mobility & Orientation Consultant, where Sirva Worldwide Relocation & Moving won silver, and BGRS won bronze. As for the Best Serviced Apartment Company award, Shangri-La Apartments was awarded bronze, with Far East Hospitality – Serviced Residences taking home silver, and the gold award presented to Ascott. Another strongly-represented theme was recruitment, where awards were handed out to winners across three categories, in addition to the Overall prize. 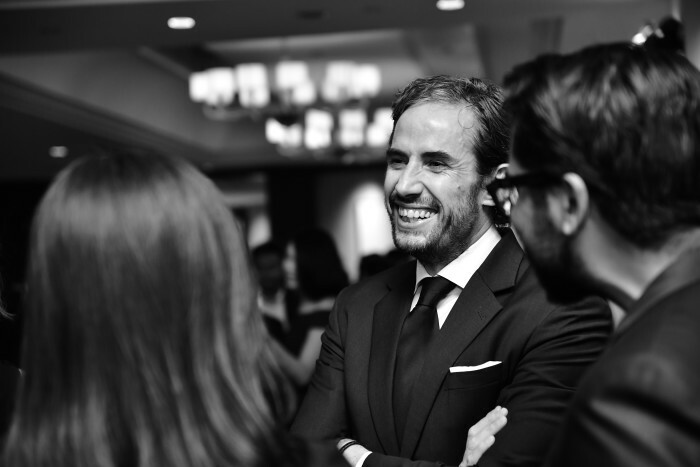 When it comes to the Best Recruitment Firm – senior-management roles (over US$10K per month), three names stood out in the pool of great innovators – EPS Consultants who won bronze, RGF with its silver win and ManpowerGroup Singapore who won gold. 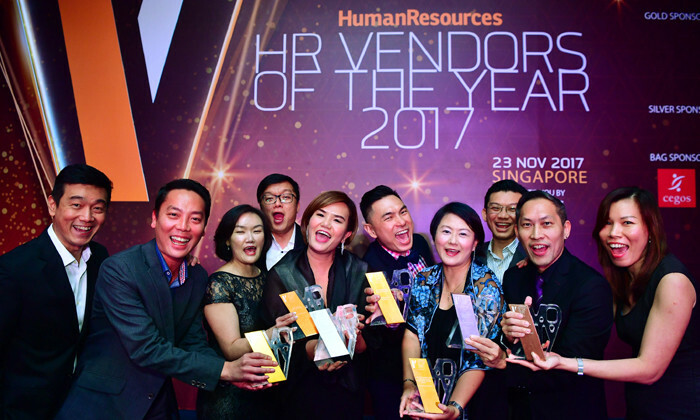 In fact, ManpowerGroup Singapore excelled on the whole, bagging the award for the Best Overall Recrutment Firm; with its silver win in the Best Recruitment Firm – mid-management roles (US4K-US10K per month), where ACI HR Solutions won bronze, and Kelly Singapore bagged the gold. ManpowerGroup was also declared the gold winner for the Best Recruitment Firm – non-management roles (under US4K per month), where it shared the honours with EPS Consultants’ silver win, and RECRUIT INC’s bronze win. As for the Best Recruitment Process Outsourcing Partner award, the judges recognised Resource Solutions with its bronze win, KellyOCG Singapore with its silver win, and Alexander Mann Solutions taking home the gold. Meanwhile, Best Psychometric Testing Provider winners included Talent Plus, Inc. with a gold win, followed bv StrengthsAsia (silver) and CEB, now Gartner (bronze). For leaders looking to strengthen their teams, the Best Team Building Training Provider award saw GRINESS winning gold, followed by FOCUS Adventure with silver, and Asian Detours with bronze. Meanwhile, the Best Management Training Provider award was presented to Right Management Singapore (gold), SIM Professional Development (silver), and KNOLSKAPE (bronze). In another training category, the Best Sales Training Provider award was held firmly by gold winner Scotwork Asia, silver winner Marketing Institute of Singapore, and bronze winner Asia Pacific Sales & Marketing Academy (APAC SMA). Another one was the Best E-Learning and Mobile Learning Provider category, which saw the wins of Cegos Asia Pacific with gold, Soco Sales Training with silver, and ODE CONSULTING with bronze. Not forgetting the Best Training Venue, the award saw Suntec Singapore Convention & Exhibition Centre winning gold, with Village Hotel Changi bagging silver, while Shangri-La Hotel, Singapore took home a bronze. Meanwhile, the attendees saw DDI accepting the gold, Right Management Singapore bringing home the silver, and Impact claiming the bronze, in the Best Leadership Development Consultant category. In the field of software, Justlogin stood out with a gold win in the Best Payroll Software category – joined by frontrunners ADP (silver) and Ramco Systems (bronze). With benefits playing a key role in HR, the Best Employee Benefits Consultant award recognised the efforts made by CXA Group (bronze), Aon (silver), and Mercer Marsh Benefits™ (gold) for their fresh solutions in the field. Moving to the last segment of the night, the celebrations continued with the announcement of the Best Employee Insurance Provider award where AIA Singapore took home the gold win. Following closely were Mercer Marsh Benefits™ with the silver award, and Aviva Singapore with the bronze award. The evening rounded up with another one of HR’s biggest concerns solved – corporate wellness – for the Best Corporate Wellness Provider category the jury awarded CXA Group with a gold win. This was followed by Virgin Pulse with a silver, and HEALTH CAN BE FUN with a bronze.